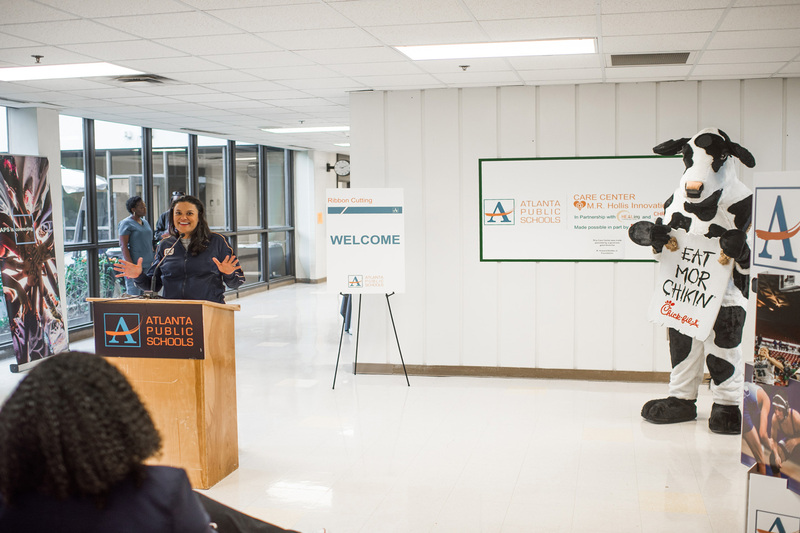 ATLANTA, Ga. (October 25, 2017) – The Chick-fil-A Foundation has again partnered with Atlanta Public Schools (APS) to help fund the construction of a new school-centered health clinic on the Atlanta Westside. The Care Center, located within M.R. Hollis Innovation Academy, was celebrated with a ribbon cutting ceremony on October 20. When the facility officially opens on November 1, the Care Center will be a full-service medical center providing general medicine, mental health support, and dental support to all Hollis Innovation Academy students and their families. “We’re so proud to show our continued support of APS with the new Care Center at Hollis Innovation Academy. Our goal is to help the Westside become a place of indigenous thriving, and that begins with providing children and their families with access to quality education and services, like healthcare,” says Rodney Bullard, Vice President of Community Affairs at Chick-fil-A and Executive Director of the Chick-fil-A Foundation. The Care Center, operated in partnership with HEALing and Chris180, will offer a host of services typical of a family doctor’s office, including acute and chronic illness diagnosis, health checks, immunizations, a laboratory, behavioral health services and dental care. The Center is expected to serve 400 patients in the first year, and will eventually serve nearly 1,000 per year. No one will be denied services based on the inability to pay. 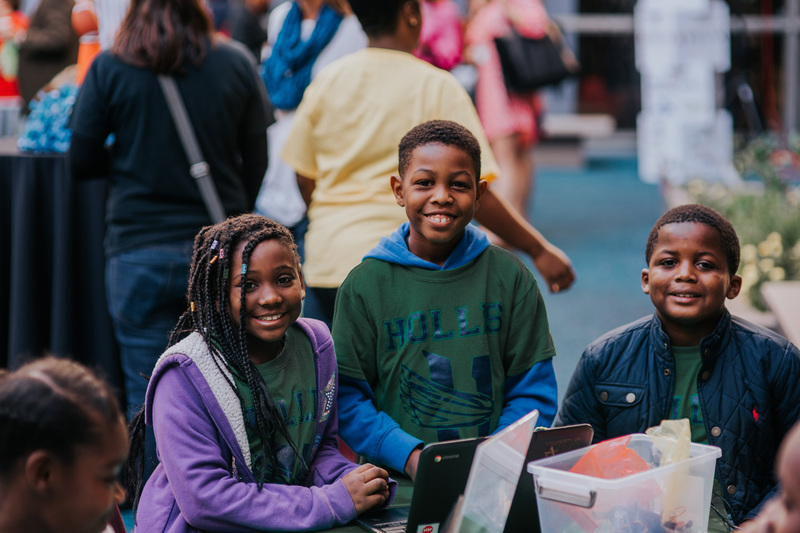 The Chick-fil-A Foundation has partnered with APS to realize many initiatives at Hollis Innovation Academy since—and even before—the school opened its doors in 2016. In addition to helping to fund the Care Center, the Chick-fil-A Foundation has renovated the school’s cafeteria and teachers’ lounge; launched an All-Girls Coding Technovation team; led a hospitality and service training session for student ambassadors; and co-funded an innovative literacy program for elementary school teachers. To recognize the ongoing support of the Chick-fil-A Foundation, the APS will be honoring the non-profit at its annual APyeS! Awards on October 25 as “District Partner of the Year.” The awards ceremony will be held at The Woodruff Arts Center’s Rich Theatre at 5:00 p.m. For more information on the APyeS! Awards, please visit www.atlantapublicschools.us.